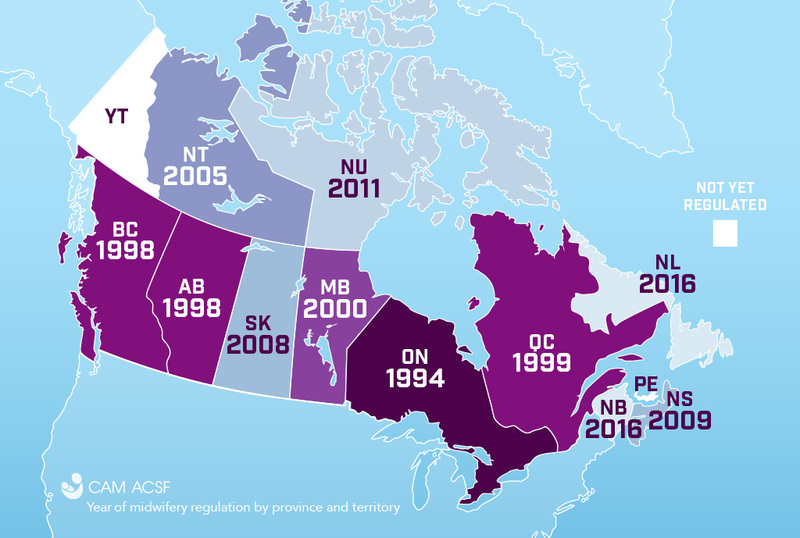 Midwifery is regulated and publicly funded in all provinces and territories in Canada except Newfoundland and Labrador, Prince Edward Island and Yukon. Midwifery regulation first came into place in Ontario, in 1994. Regulation in British Columbia, Alberta and Quebec followed in the late 1990s. Midwifery was most recently regulated in Newfoundland and Labrador (2016). New Brunswick is the most recent province to begin offering midwifery services, with the hire of midwives in spring 2017.